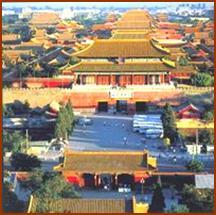 The Study Abroad Program in China offers various length sessions from 2 weeks to year long. Markham International Education Center cooperates with Chinese Universities, offering a series of wonderful options for US students to experience Chinese Language and Culture. These programs are all based in university with quality teaching, they are ideal students interested in an impressive China study abroad lifetime experience. All sessions combined courses from the following subject areas: Intensive Chinese studies (from beginner level and up), Chinese culture and history studies. Students can earn university credits by taking above courses at Chinese universities plus a certificate. MIEC China and cooperative Chinese Universities will be responsible for operations of the Study Abroad Programs in China. We will show our professional and quality service to all participants.